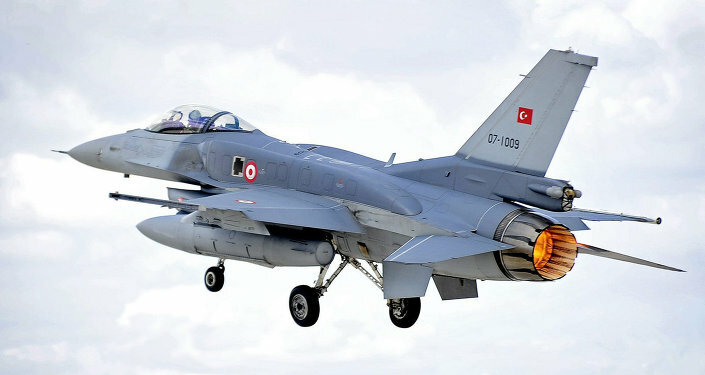 Was the downing of the Russian Su-24 Erdogan's "oil revenge" for Turkey's losses from the destruction of oil smugglers' truck fleet bombed by the Russian Air Force in Syria? Or maybe it is just the tip of a very big iceberg, F. William Engdahl asks. American-German researcher, historian and strategic risk consultant F. William Engdahl notes that back in August 2015, he wrote about the Harvard-educated 35-year-old son of Turkish President Erdogan, Bilal Erdogan, who was involved "up to his eyeballs" in illicit oil smuggling from Syria and Iraq. "That illegal oil finances the major activities of ISIS [ISIL] in Iraq and Syria, a point of which Russia's Putin gently reminded US President Obama and others at the recent Antalya, Turkey G-20 meeting. Fourteen months of alleged US bombings of ISIS targets never once went after the oil chain from Mosul and other ISIS occupied sites through Turkey onto tankers owned by Bilal Erdogan's tanker companies," Engdahl narrates in his recent article for New Eastern Outlook. Citing vice-president of the Turkish Republican Peoples' Party Gursel Tekin, the researcher points to the fact that Bilal Erdogan's maritime companies own "special wharfs in Beirut and Ceyhan ports" transferring ISIL's stolen oil in Japanese oil tankers. Bilal's BMZ Ltd maritime company is doing oil trade for ISIL, he notes, adding that the illicit oil smuggling has become Erdogan's family business with close relatives holding shares in the company. Furthermore, in order to boost the business the Erdogans took illicit loans from Turkish banks, Engdahl continues, quoting Tekin. In this light Erdogan's motivation for downing the Russian Su-24 is crystal clear, given the fact the Russian Air Force had repeatedly bombed oil smugglers' truck fleet into ash. But did the Turkish leader act as a "lone assassin"? "The fact that the tyrannical Erdogan and his Air Force and intelligence services were directly implicated in the shoot-down of the Russian SU-34 is not in dispute. The more relevant question, however, is whether Erdogan and his government acted as a 'lone assassin' so to speak. Here several murky questions present themselves," Engdahl underscores. Golan Heights: Why is Israeli IDF Military Talking to ISIL? The truth of the matter is that a number of countries, surrounding Syria, have been more or less involved in illegal oil smuggling. Engdahl calls attention to reports saying that Israel's IDF was spotted messing with ISIL in the Golan Heights region. Engdahl also refers to Israeli media outlets narrating that since June 2014, Israel imported about 75 percent of its oil needs from Iraq. It still remains unclear whether the oil was transported from the Kurdish area of Iraq. Still, some independent sources claim that Iraqi oil is being smuggled by ISIL to Turkey and then redistributed to Israel via Turkey's Mediterranean port of Ceyhan. Engdahl cites Chris Dalby, an analyst with Oilprice.com, who characterized ISIL as "a largely independent financial machine" due to its numerous oil fields in Iraq and Syria. Still, whatever profits Erdogan is purportedly receiving from oil smuggling it is highly unlikely that the Turkish President would sacrifice Russo-Turkish relations for some fishy business. ​"My masculine intuition tells me that Recep Erdogan would never risk such a dangerous bold and illegal action against Russia on whom Turkey depends for 50% of her natural gas imports and a huge part of her tourism dollar earnings merely because the family ISIS oil business was being bombed away by Russian jets," the researcher underscores. Engdahl expresses his confidence that there were "clearly serious silent backers" encouraging Erdogan to launch an attack on the Russian Su-24 plane. Indeed, despite Ankara's hardly convincing explanation of the treacherous attack, almost all NATO leaders have sided with Turkey, justifying its "act of self-defense." Interestingly enough, US warmongering neocons have repeatedly called for "shooting down" Russian planes. ​"What role did the emotionally unstable US Defense Secretary and neo-conservative Russophobe Ash Carter have, if any, in the downing of the Su-24 and later the Russian rescue helicopter? What role did Chairman of the Joint Chiefs of Staff 'Fighting Joe' Dunford play, if any? What role did the British secret services play, if any? What role did the Israeli IDF and Mossad play, if any, in the Turkish deed?" Engdahl asks. Yet, the incident has left more questions than answers. However, "what is hidden will be revealed," as a proverb says.